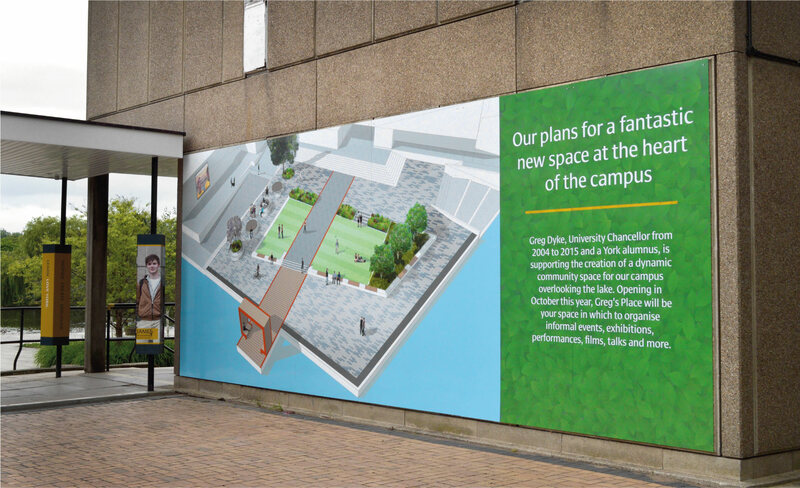 Ahead of the summer open day, York University were looking to improve the appearance of the grounds and create an inspiring and modern learning environment for prospective students. Large scale imagery transformed the look of the walkways, bridges and department blocks adding vibrancy and interest to the 1960’s buildings. Designed by So Vibrant. We produced all the products in house, on time and within budget. 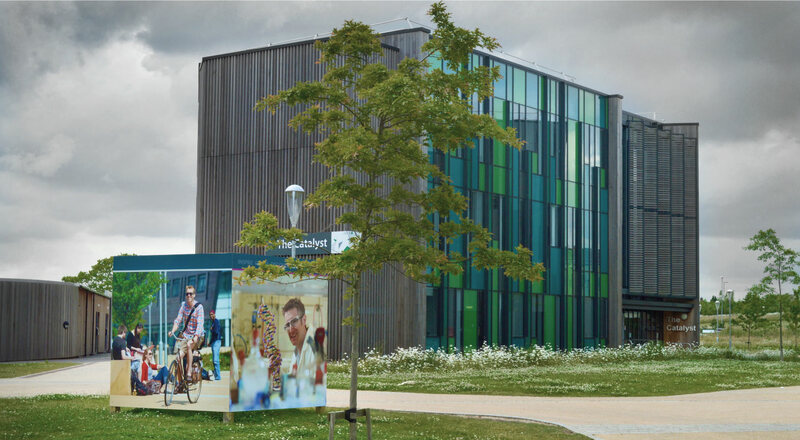 We created over 100 post totems which were attached to the walkway poles by an internal fixing method, a number of aluminium feature artwork pieces installed to the exterior of several buildings, 2-way optically clear manifestations which were applied to a number of automatic doors throughout the campus and 30 fascia header boards above the walkways. Our team built several large cube totems made from MDF, each faced with high resolution prints. The cubes were made using a wooden internal framework and cemented into the ground as a permanent fixture. 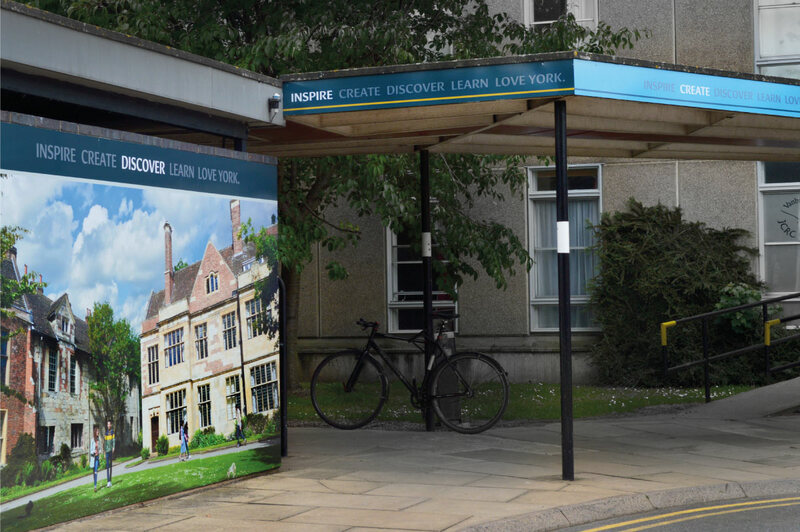 To complete the exterior branding scheme, we printed and installed 3 42m banners. Internally we produced a number of pop up stands and free standing totems along with floor graphics with a specialist high traffic laminate.